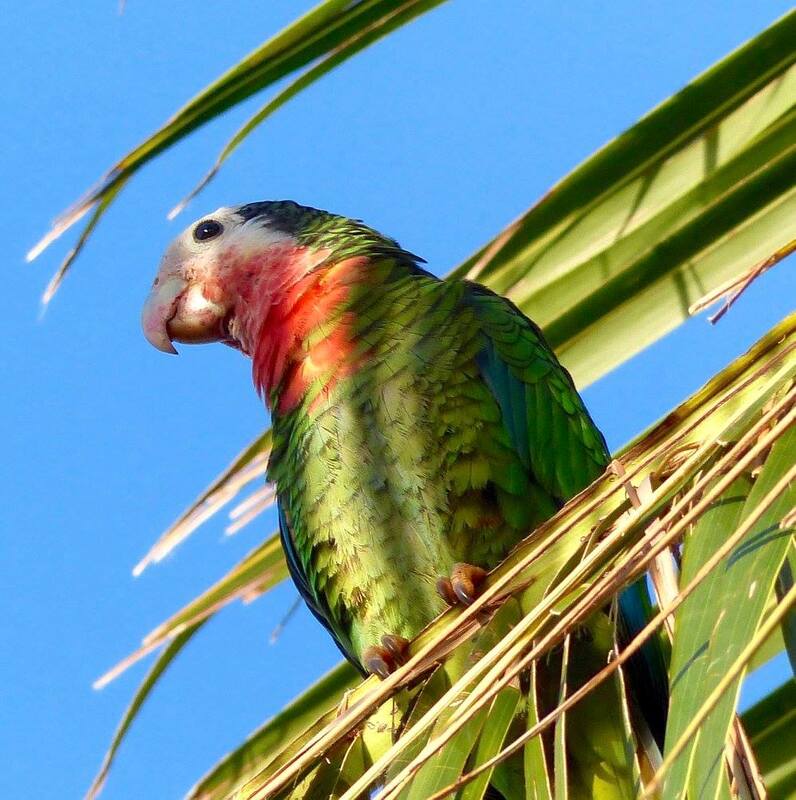 Melissa Maura is well-known to many in the Bahamas, not least because of the wonderful work she does with injured or orphaned creatures. Thanks to the skills and compassion of Melissa and those who work with her, animals and birds of all kinds are saved from death or incapacitating injury. 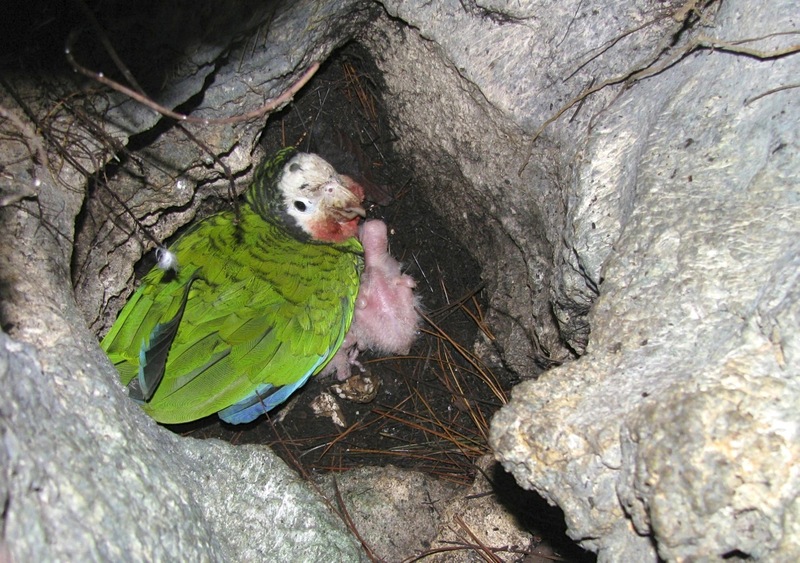 In the saddest cases, they are gently cared for until the inevitable occurs. 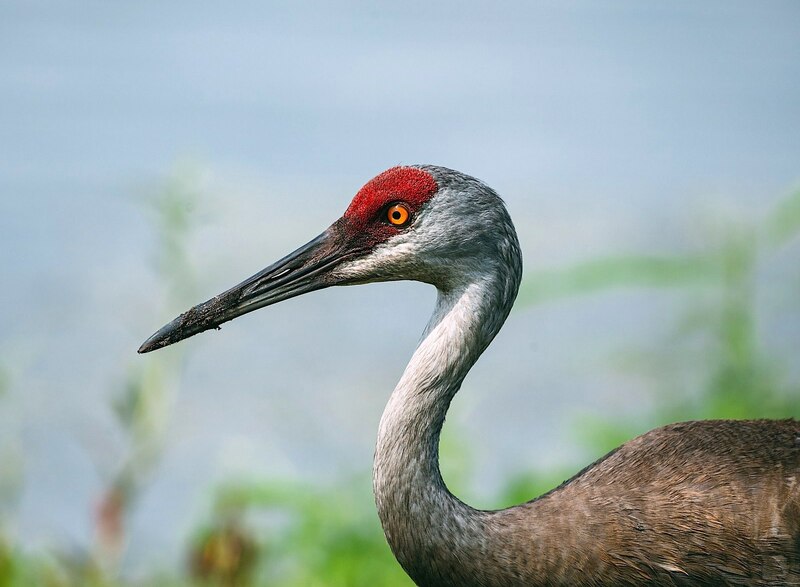 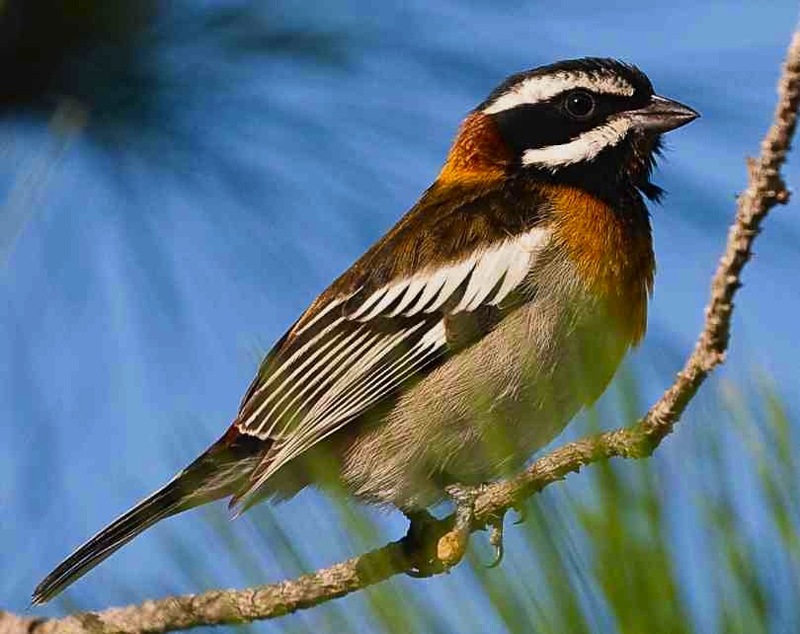 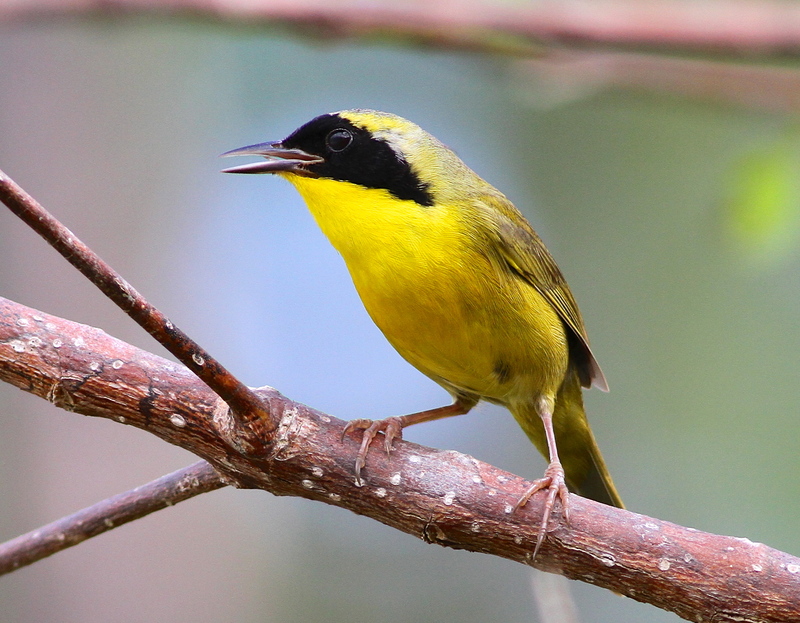 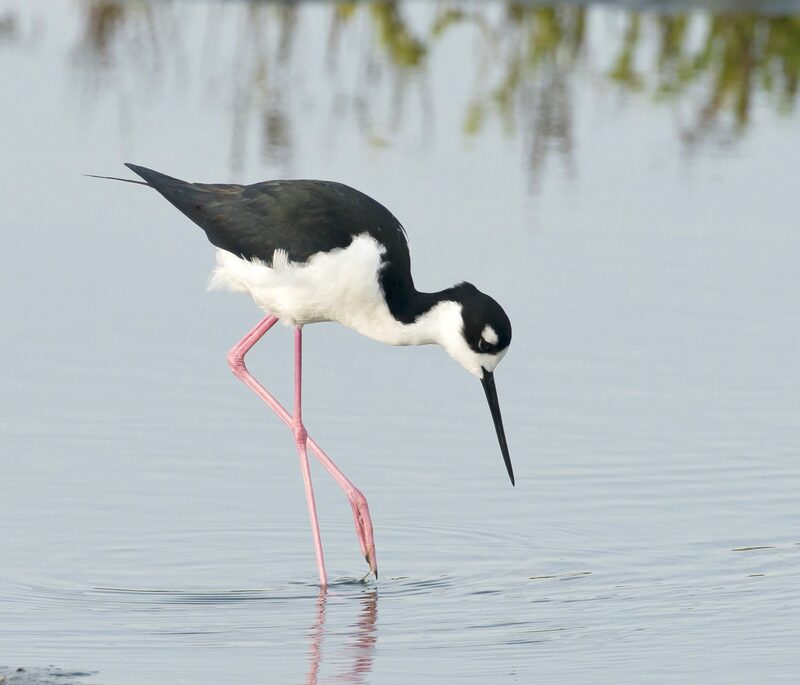 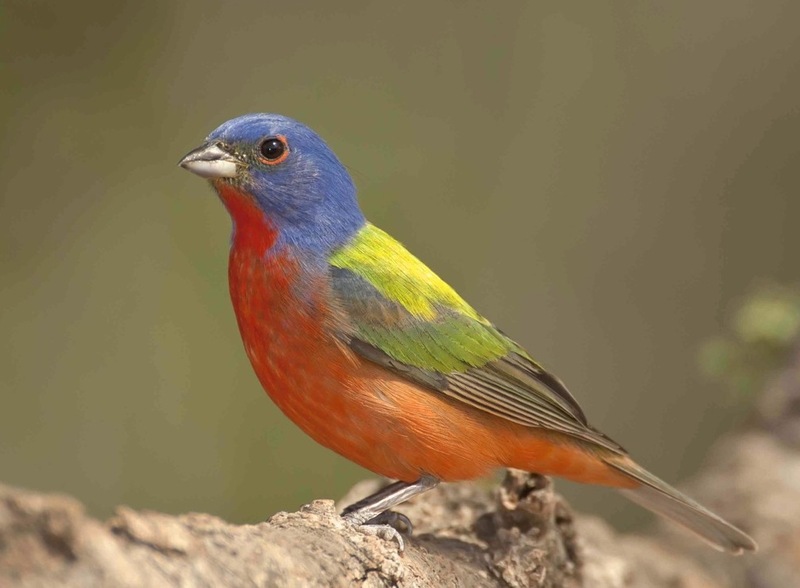 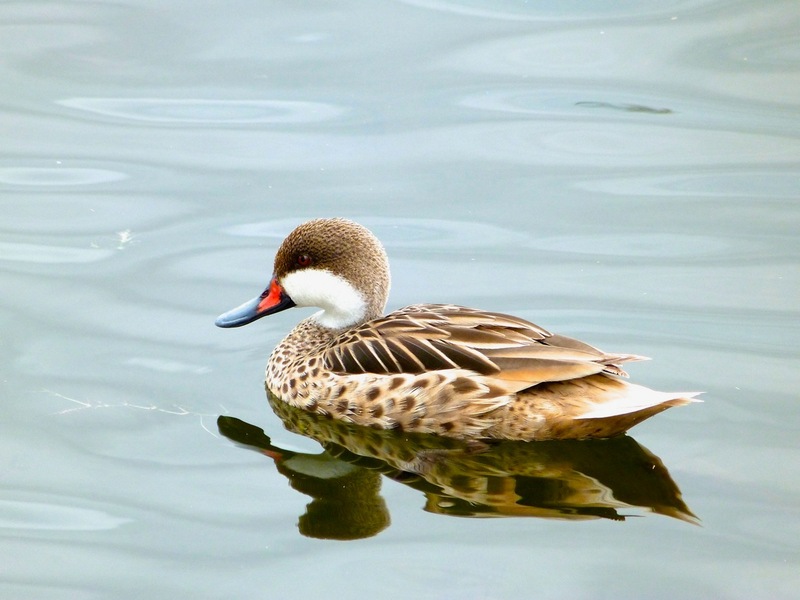 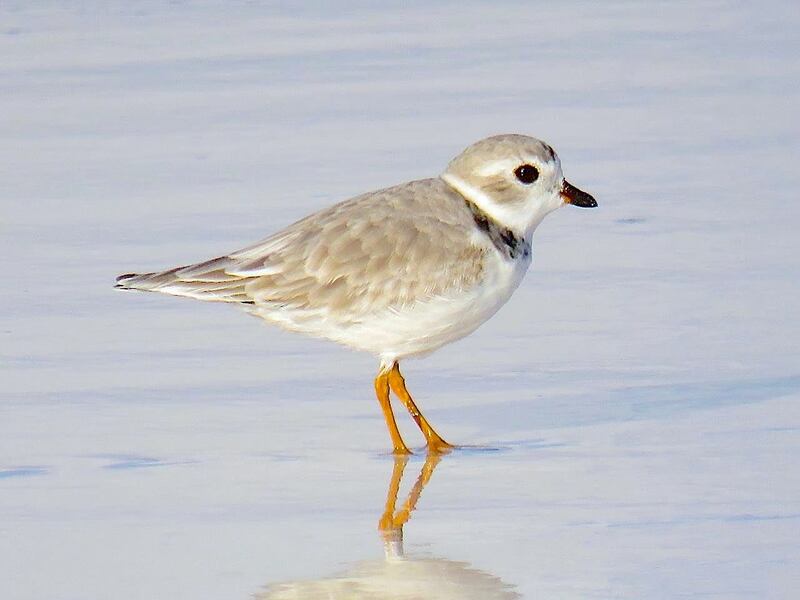 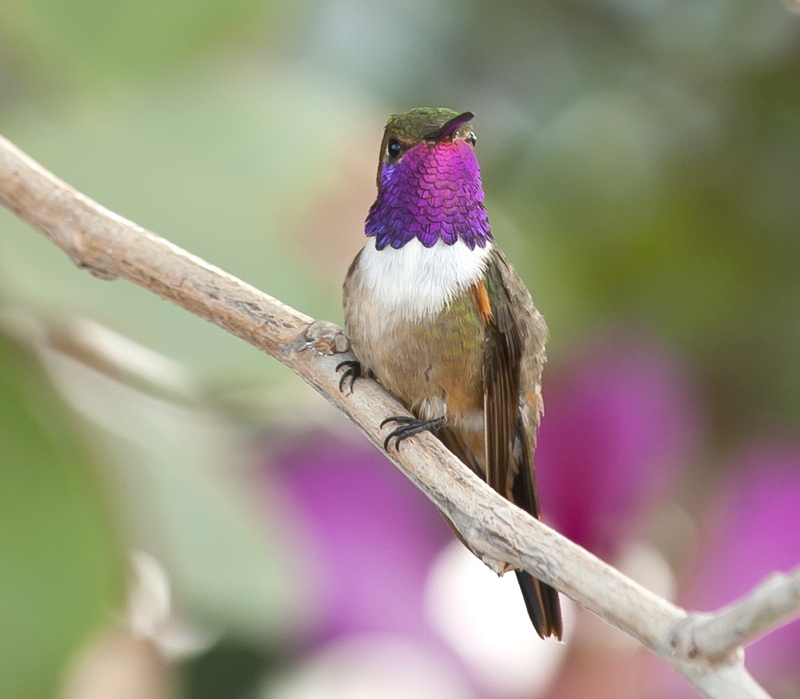 Melissa also takes terrific bird photographs, some of which I have featured in the past. 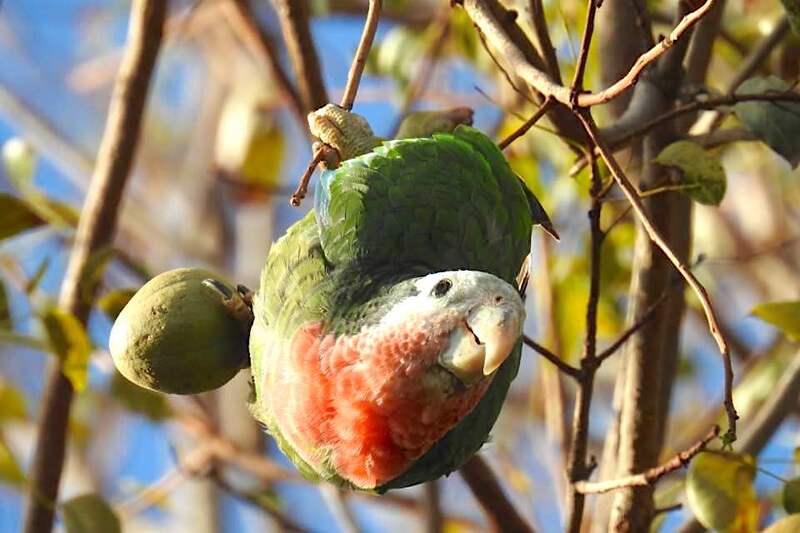 Indeed my blog headline photograph is one of her parrots. 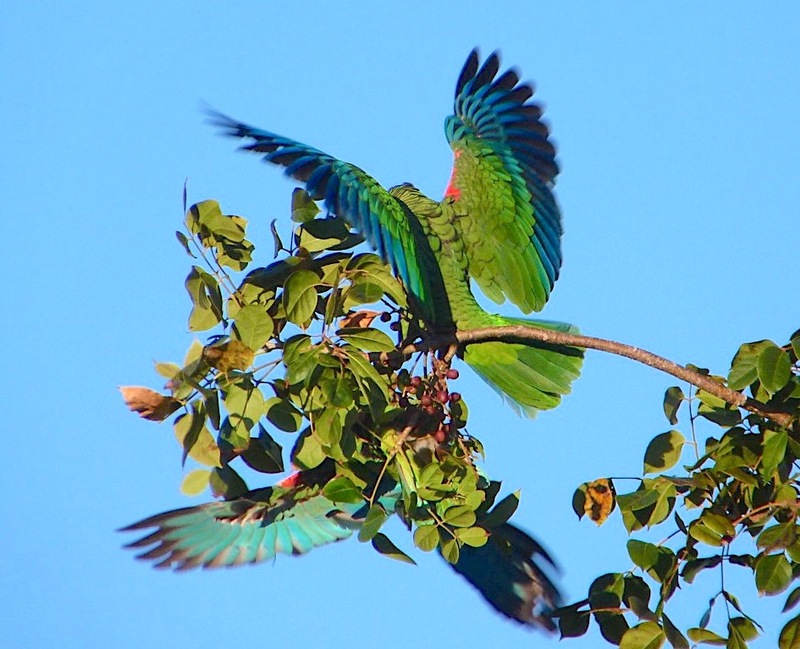 I used to change the header from time to time, but this one is so cheerful that I decided to keep it in place. 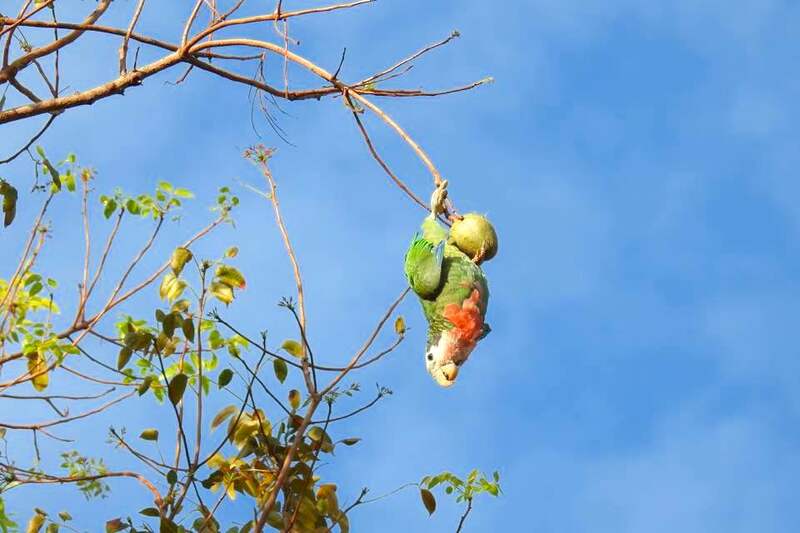 It always makes me smile. 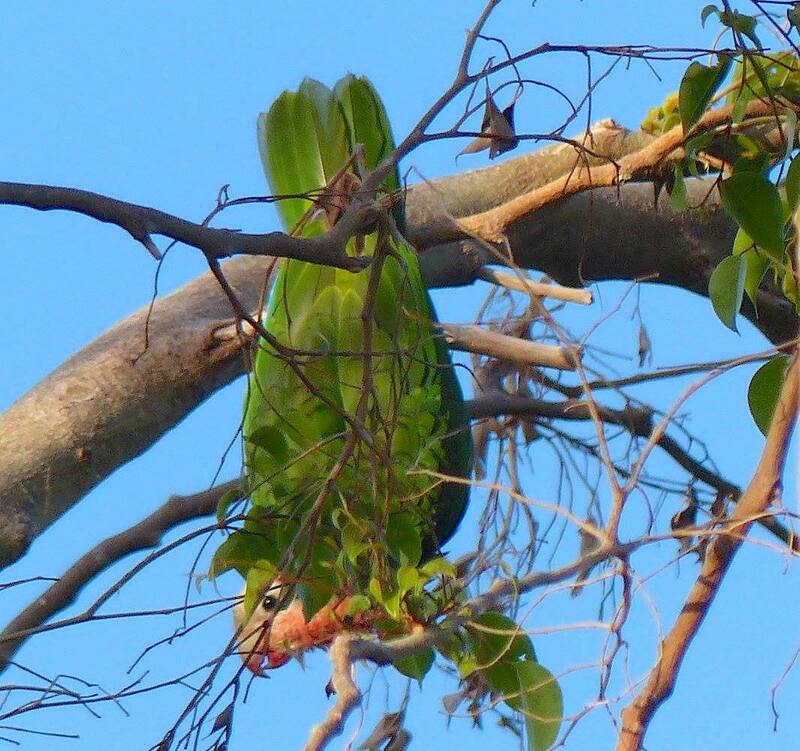 Parrots are acrobatic creatures, happy to eat at all angles including completely upside down. 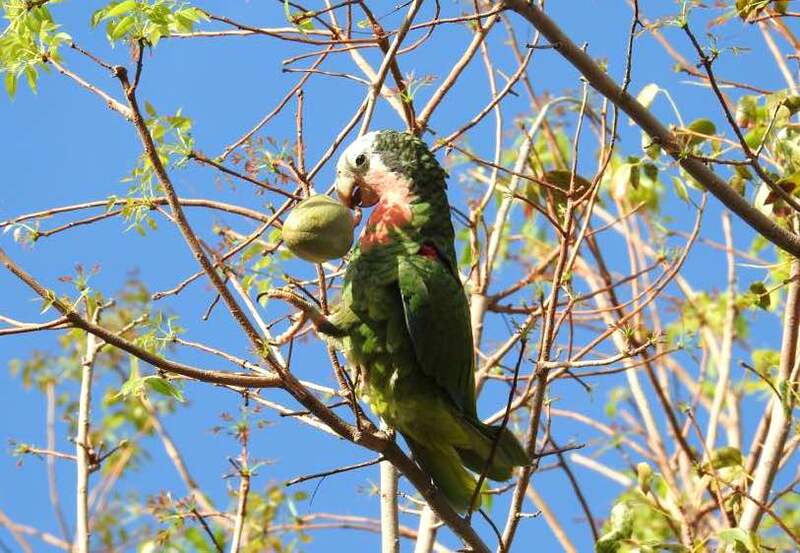 Not just eat, though. 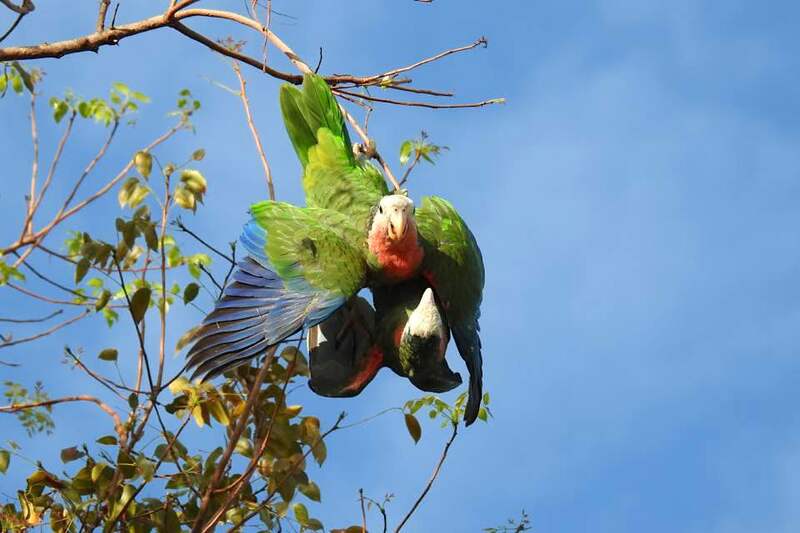 Also bicker, flirt, play-fight, and see off rivals via inverted aggression. 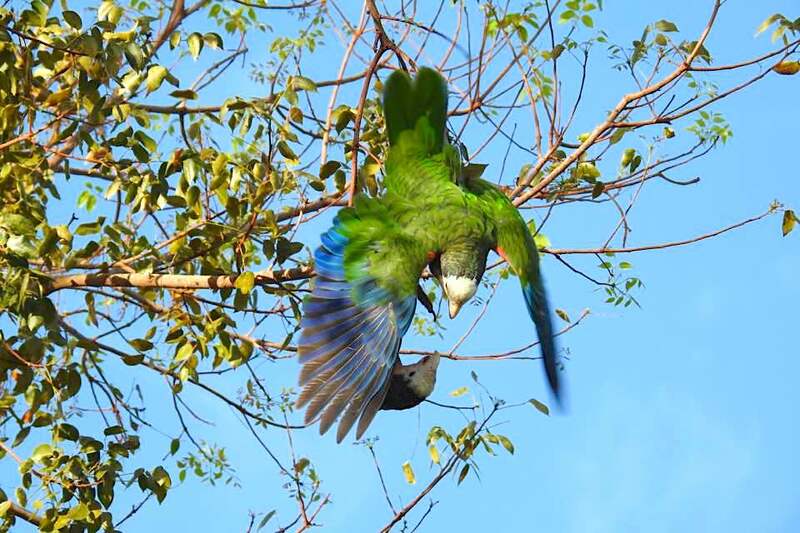 With the Abaco parrots, one of the benefits for the bystander is that the balancing act and consequent fluttering often reveals the spectacular blue of the birds’ wings. 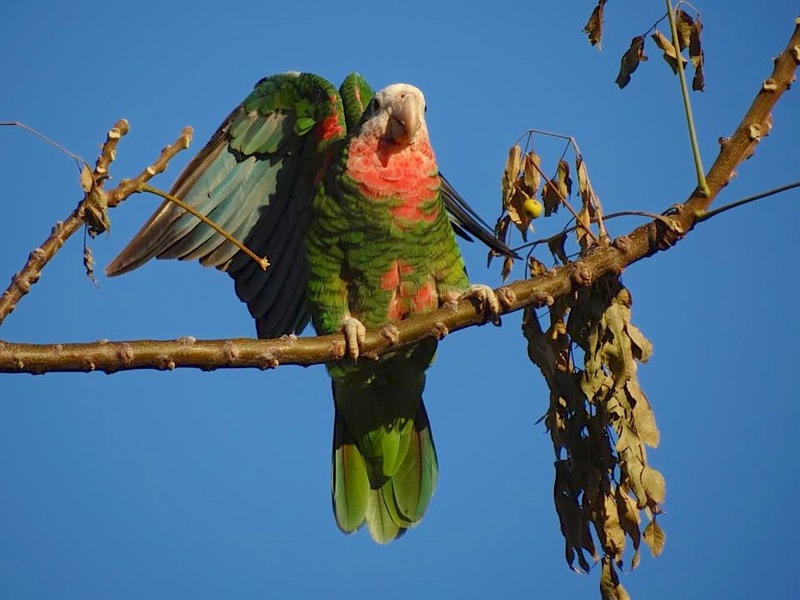 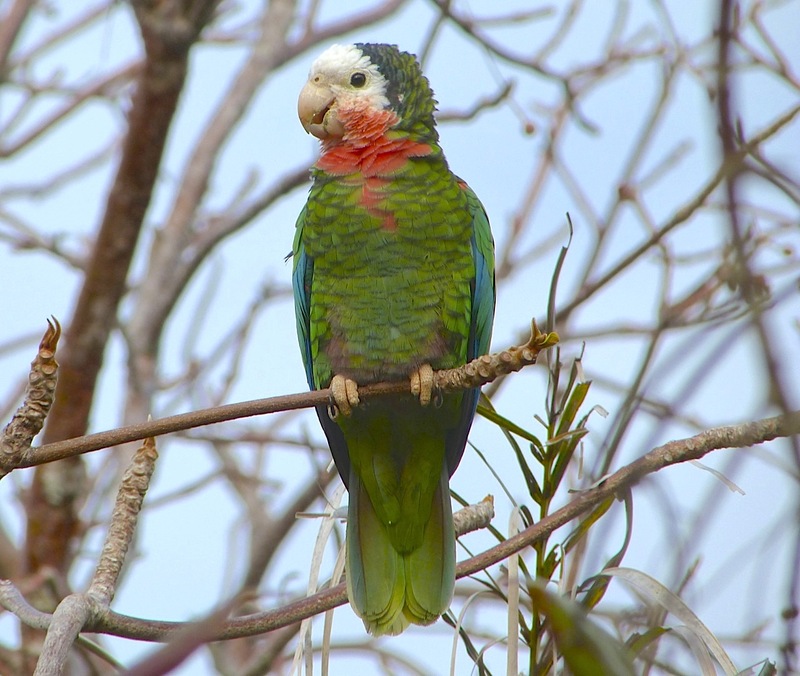 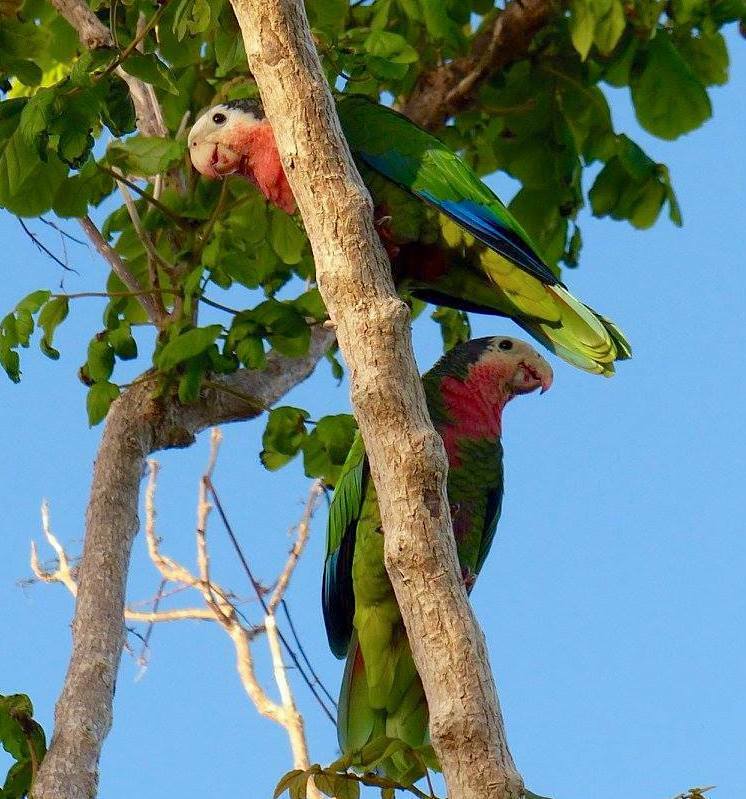 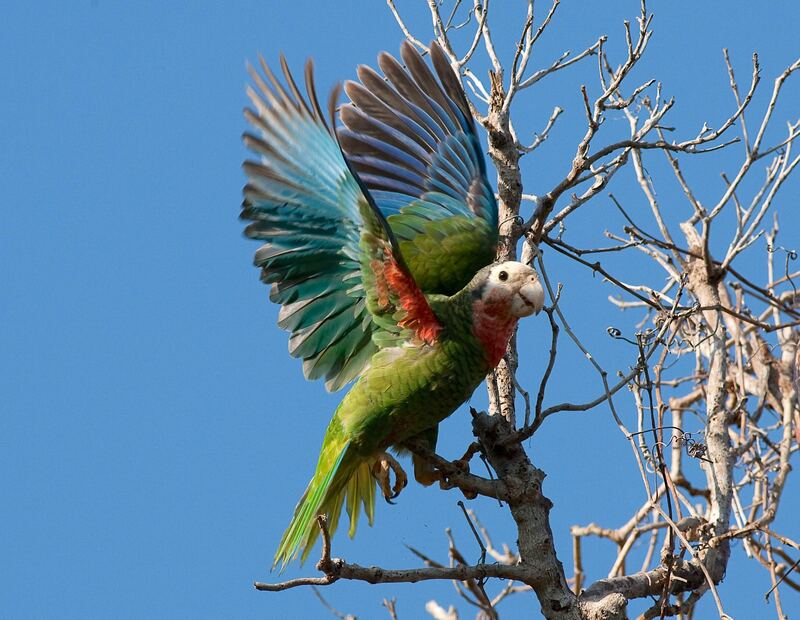 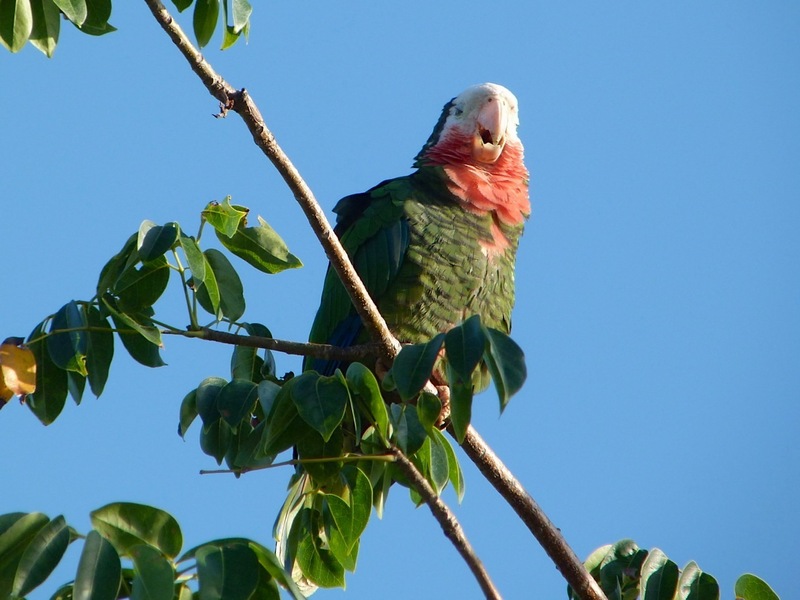 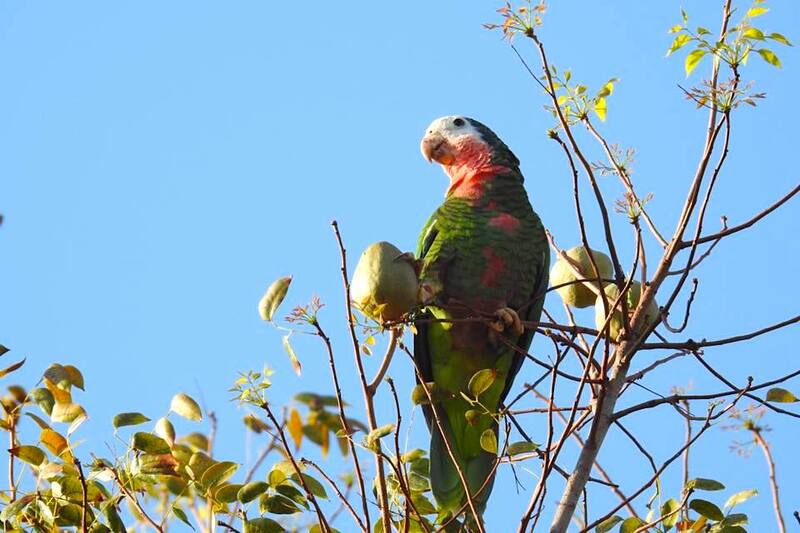 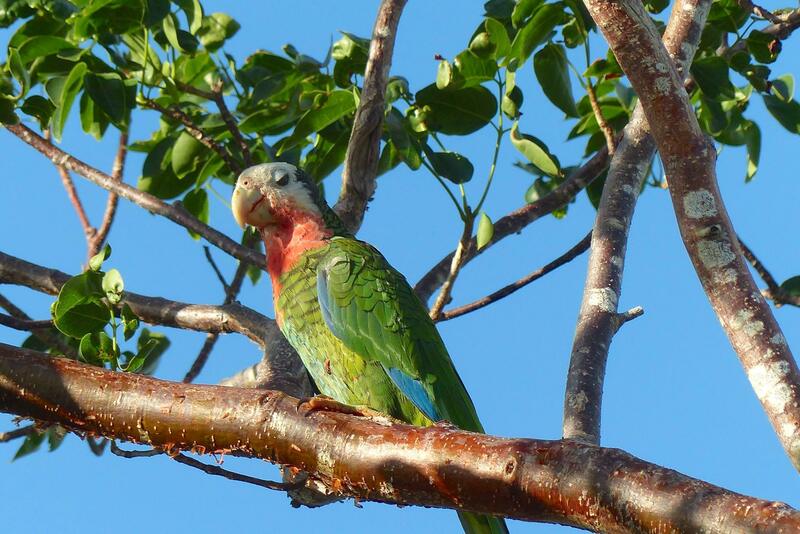 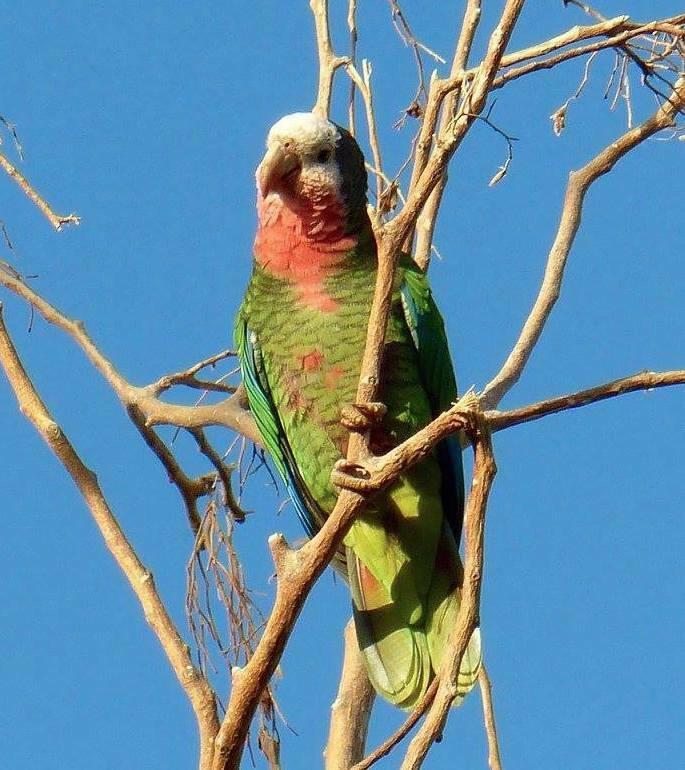 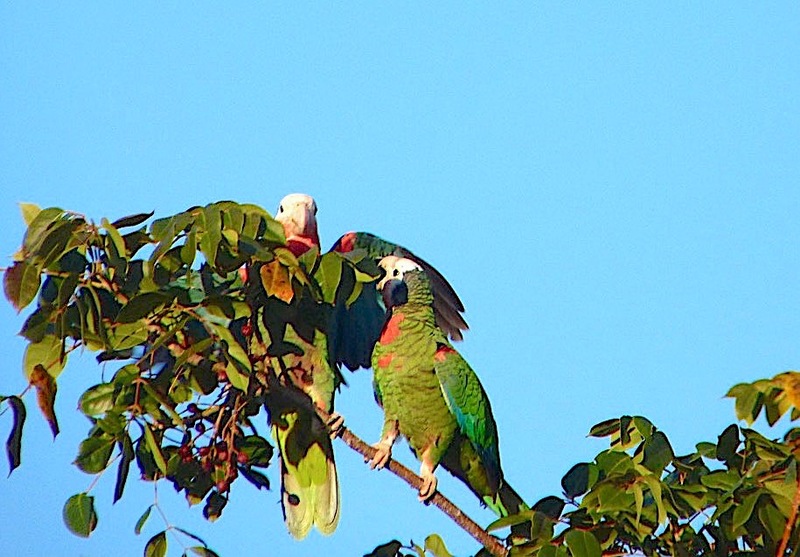 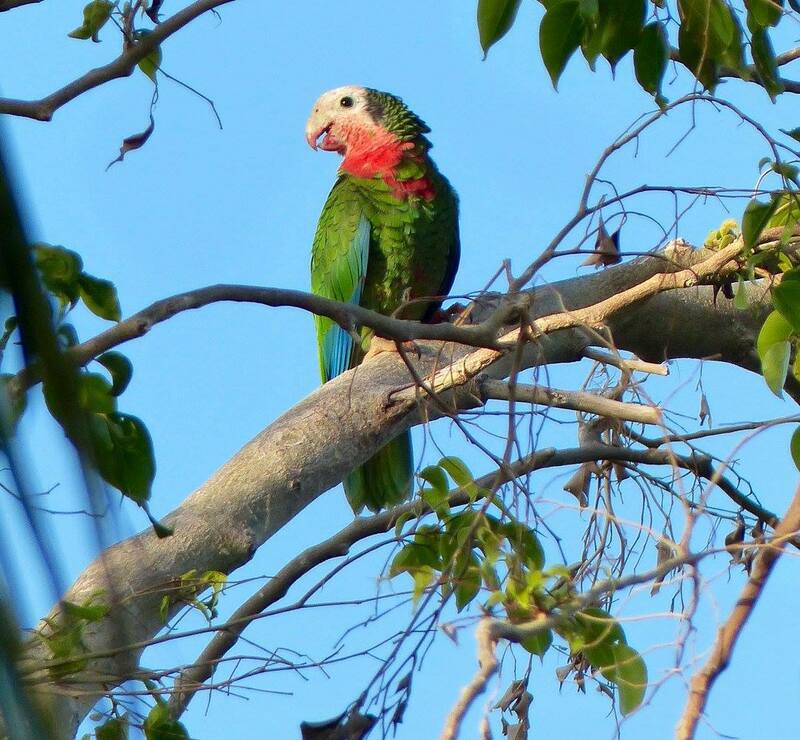 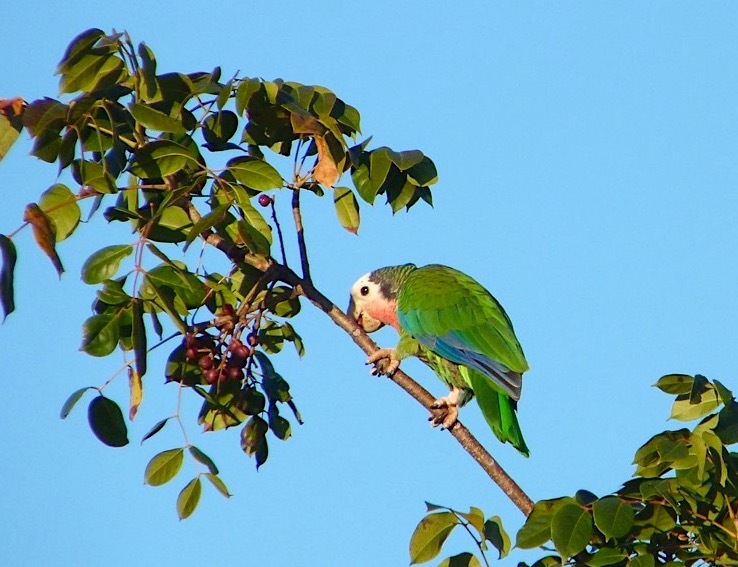 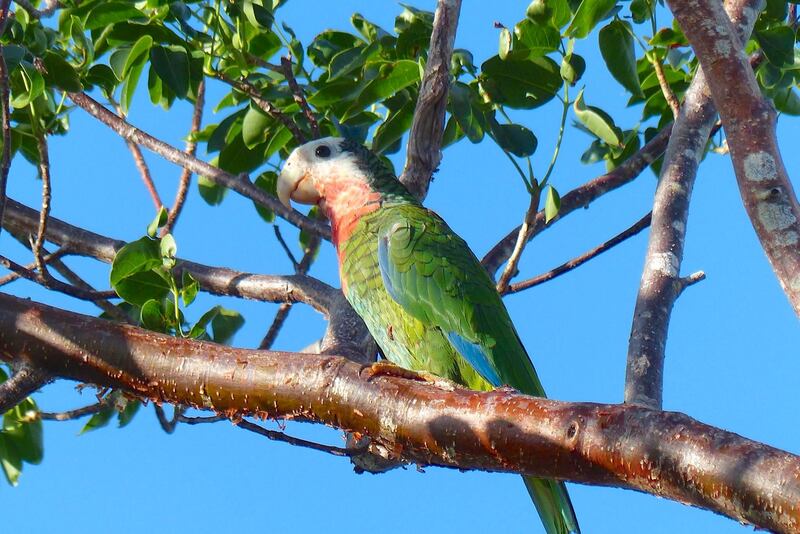 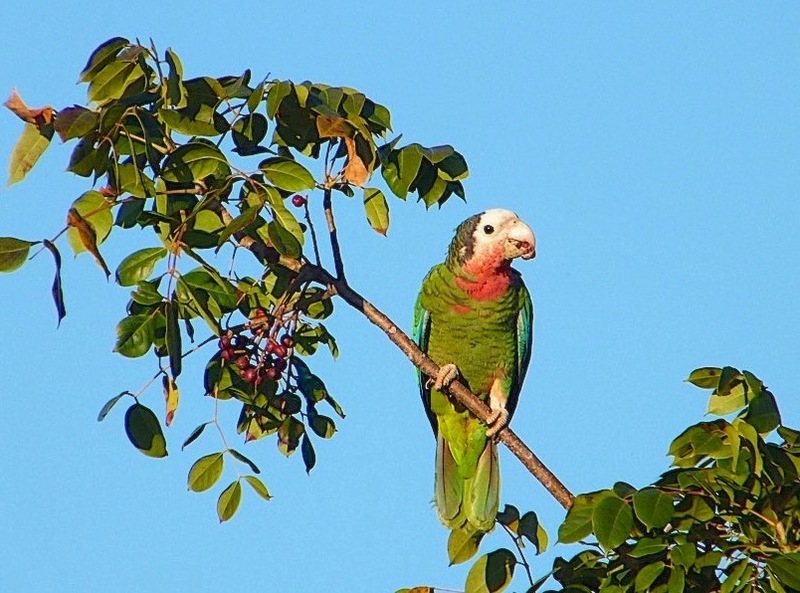 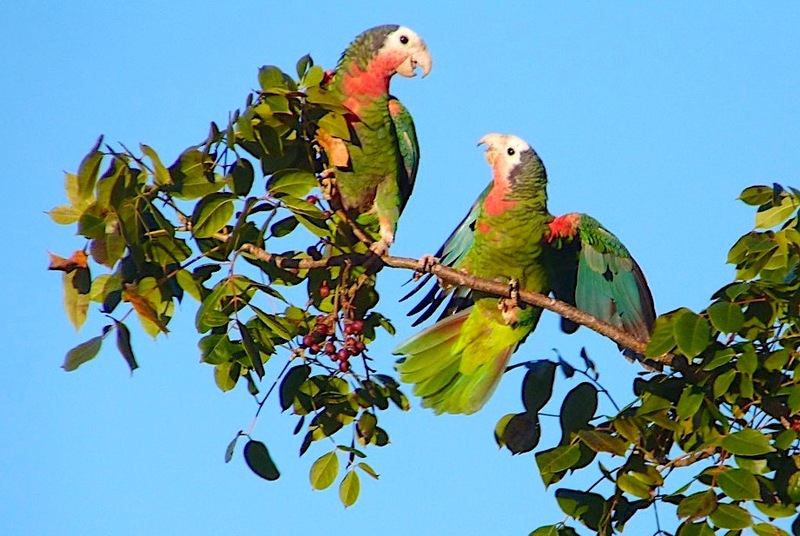 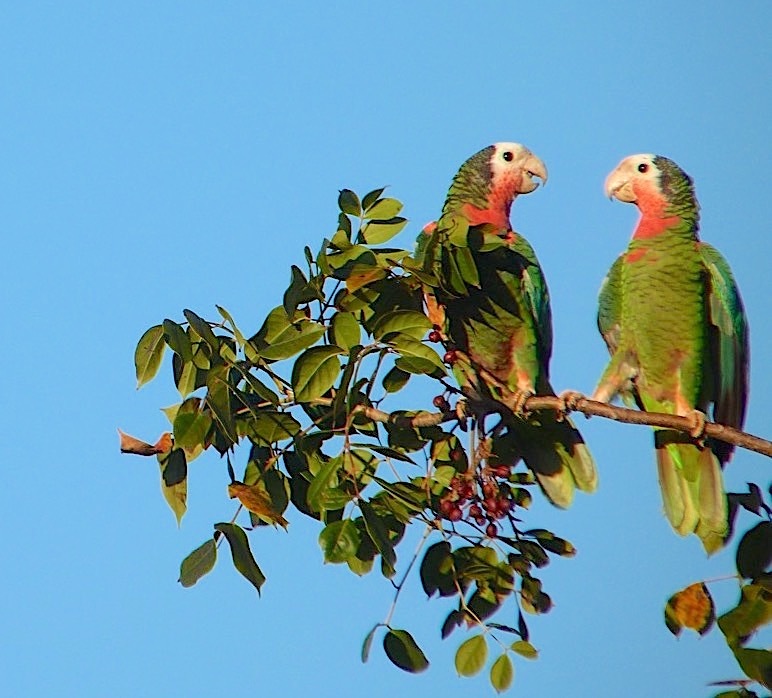 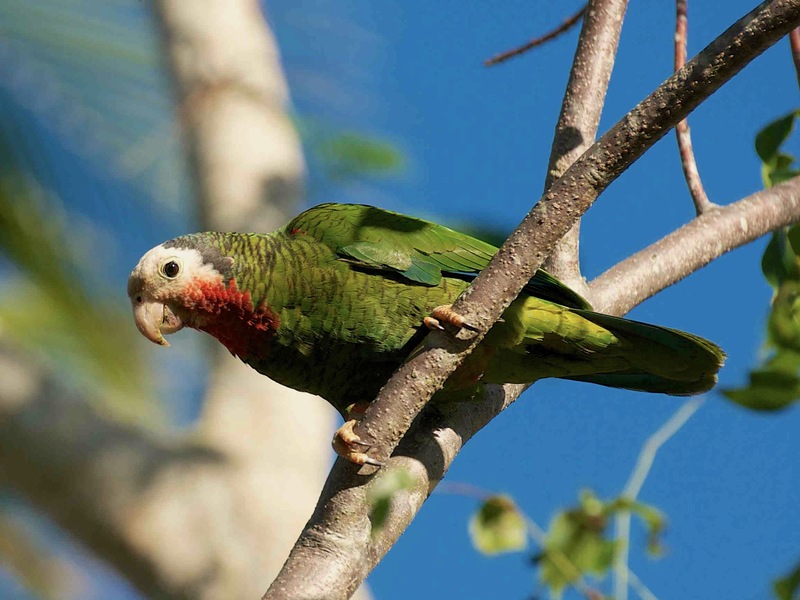 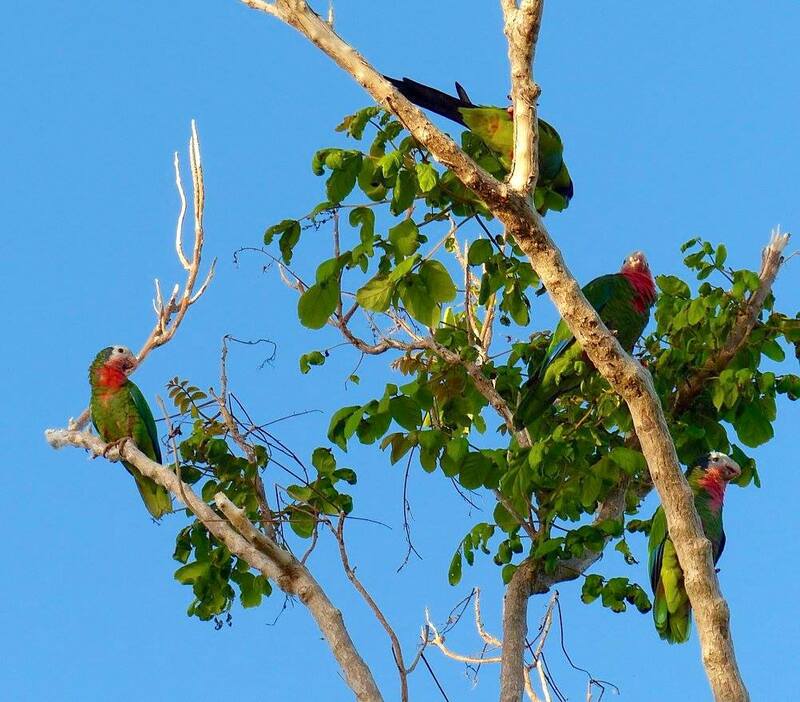 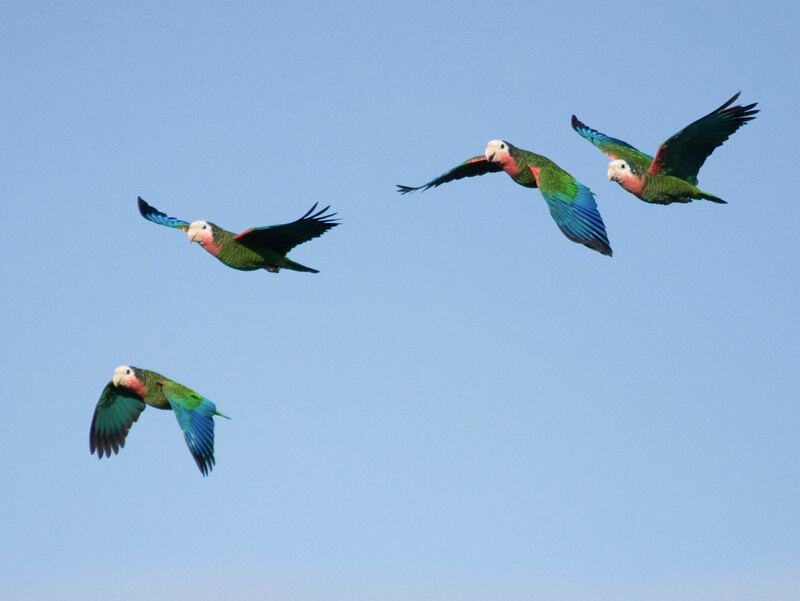 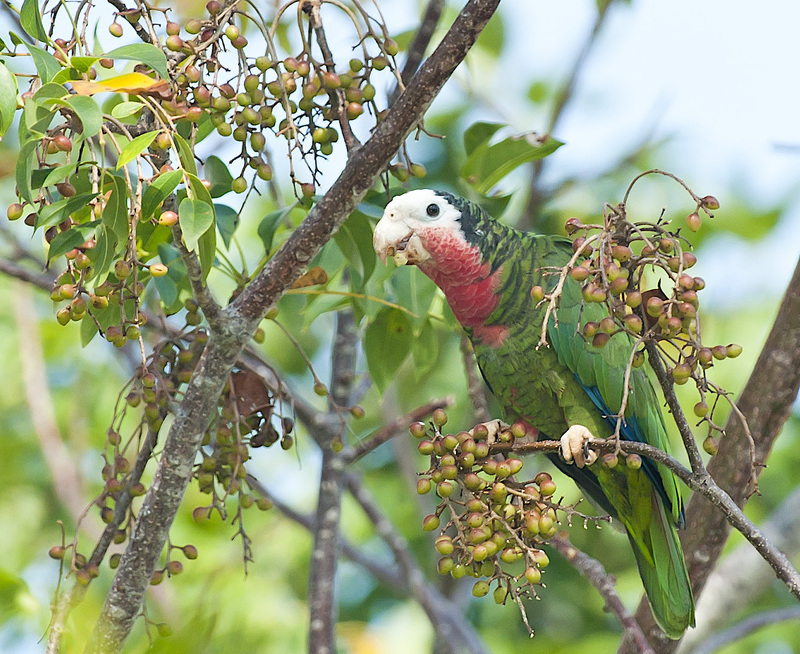 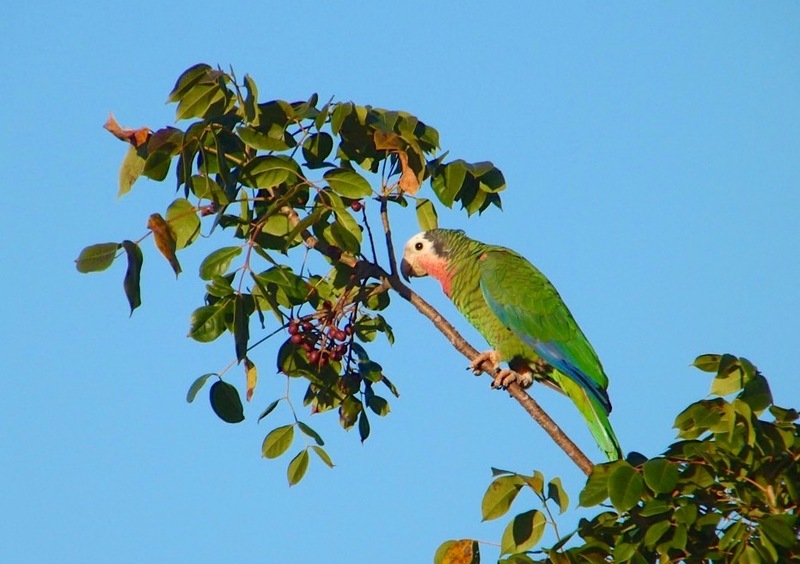 People often ask where on Abaco they are most likely to see the parrots. 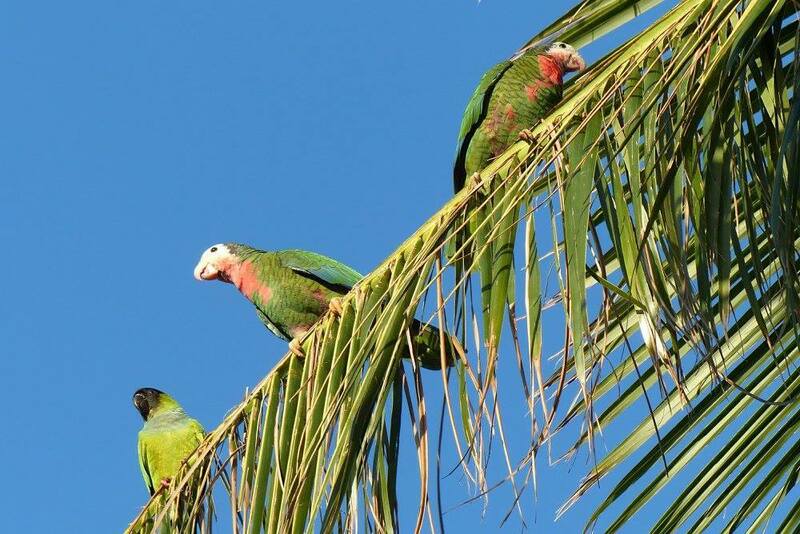 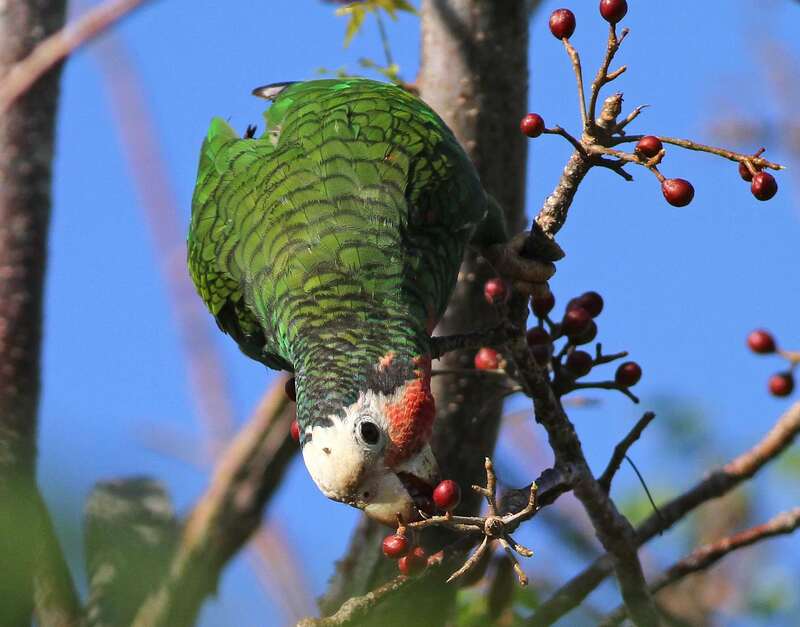 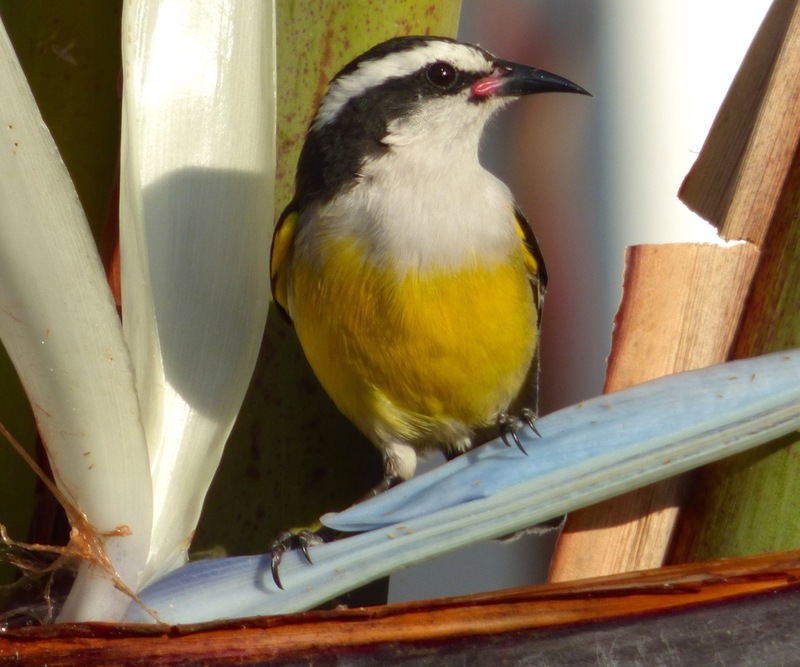 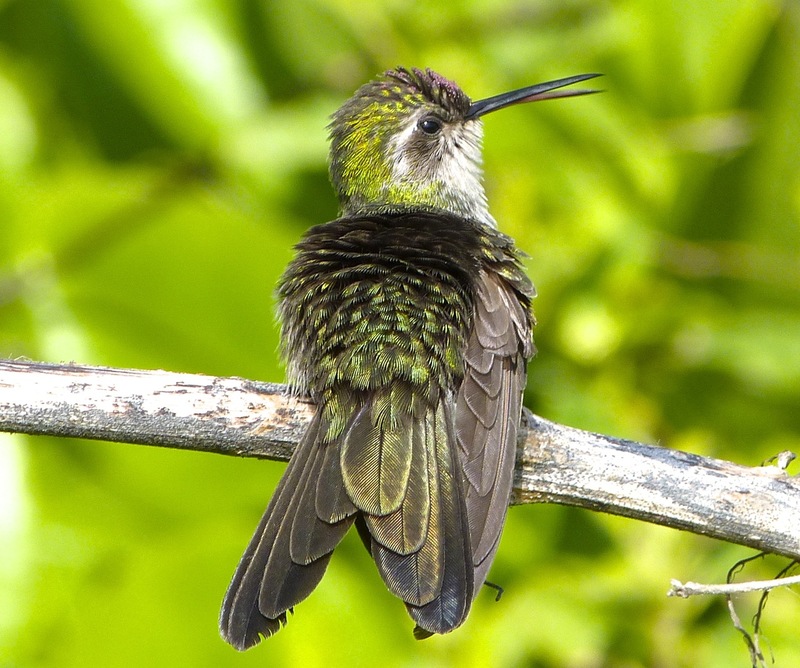 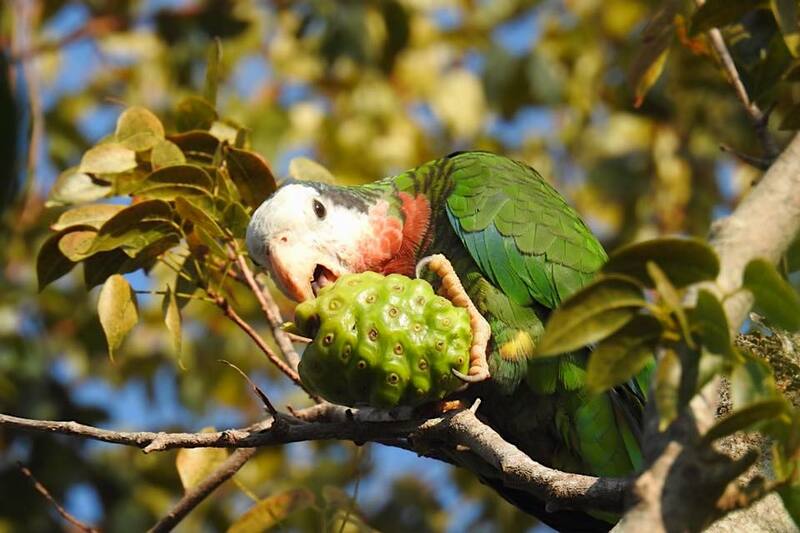 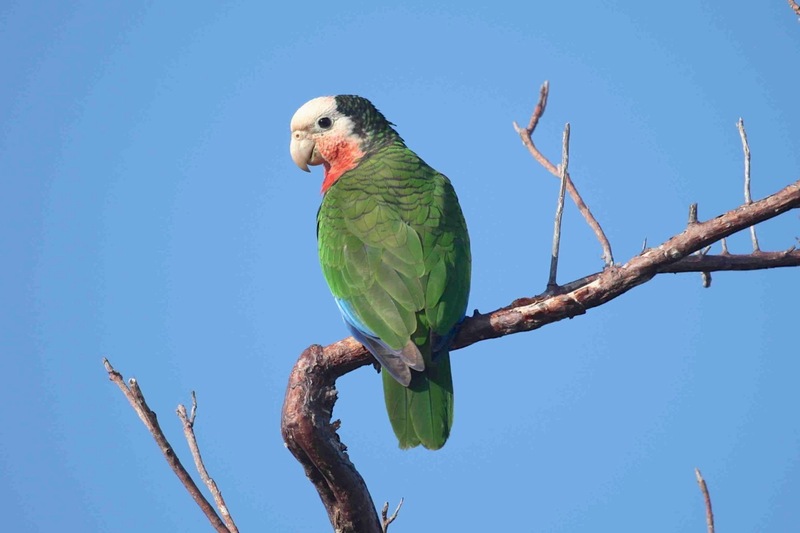 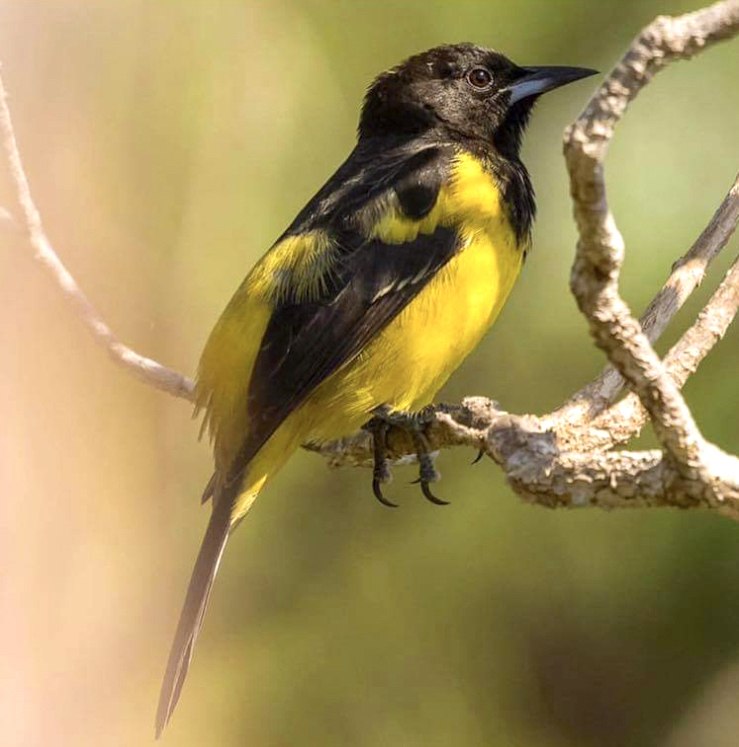 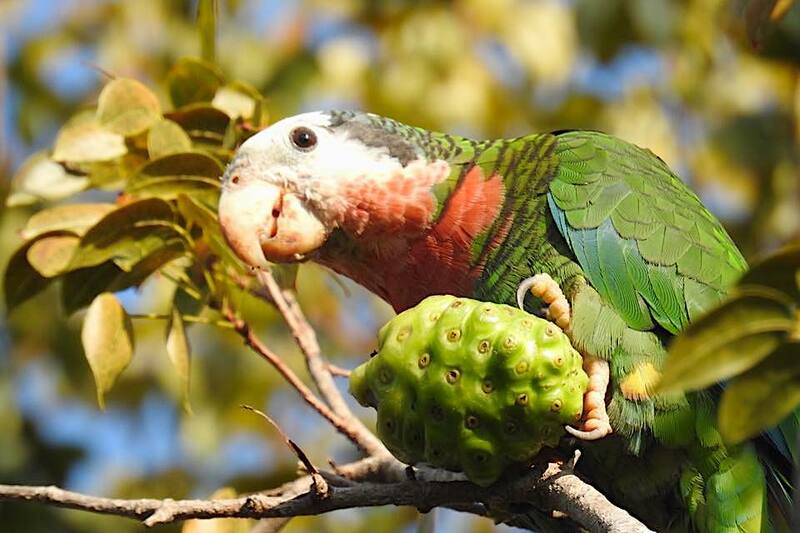 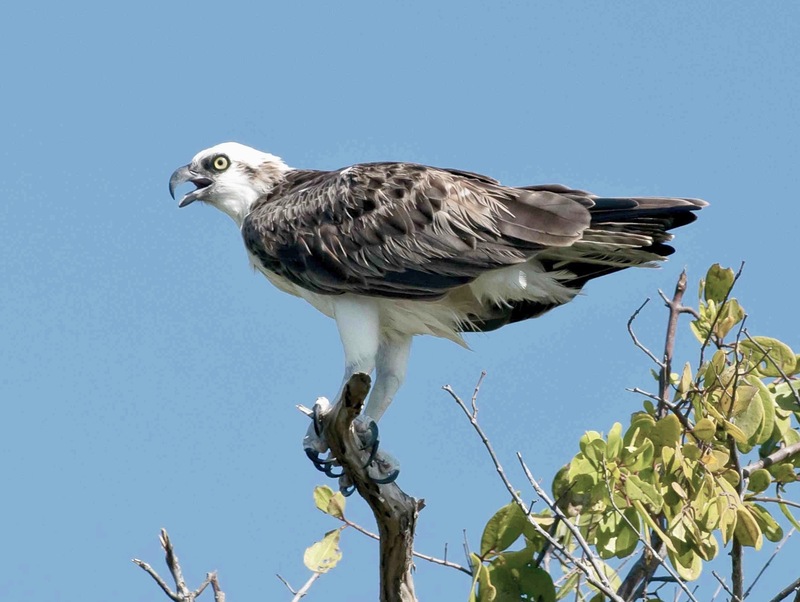 First, there are no parrots north of Marsh Harbour – they are all in South Abaco. 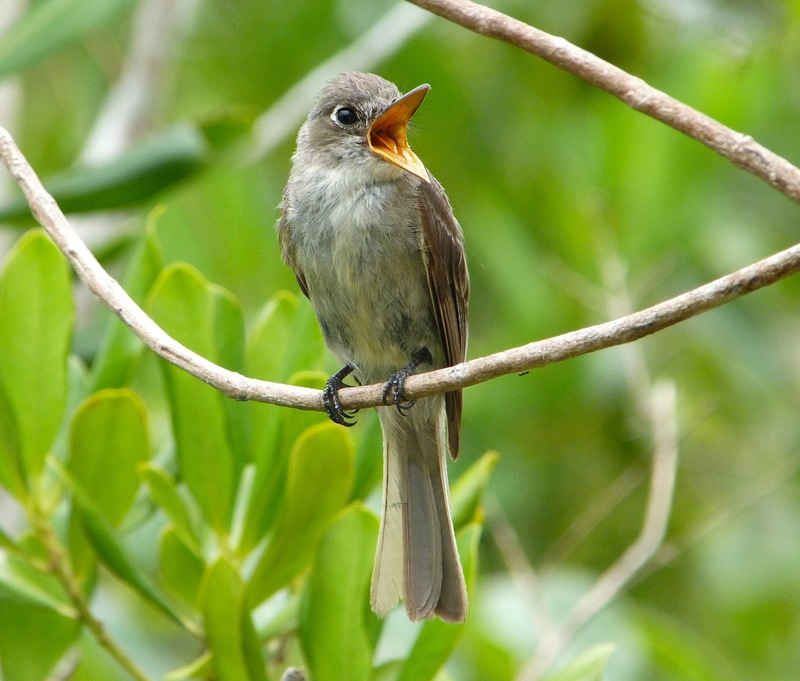 Secondly, although they live and nest in the National Park at the southern end of the island, in practice it covers a very large area, much of it inaccessible and with the only ‘road’ something of a challenge for an ordinary vehicle (described HERE). 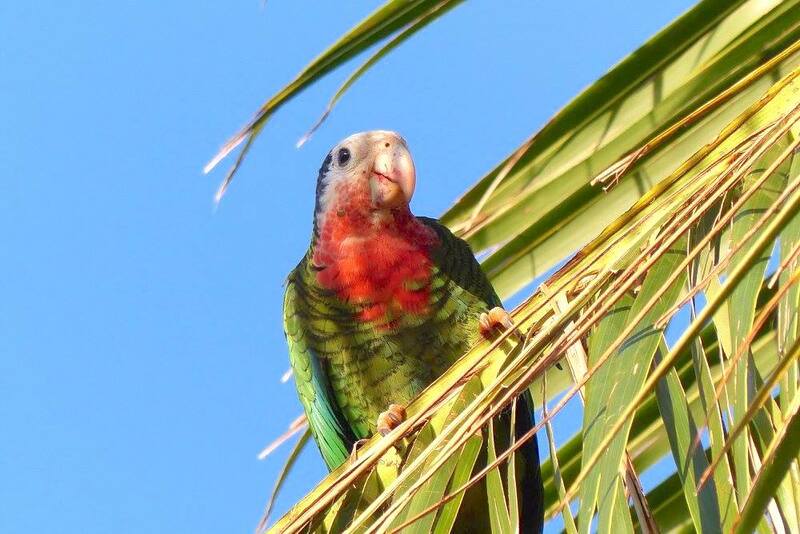 I’d say that the single most reliable place to see the parrots is at Bahama Palm Shores. 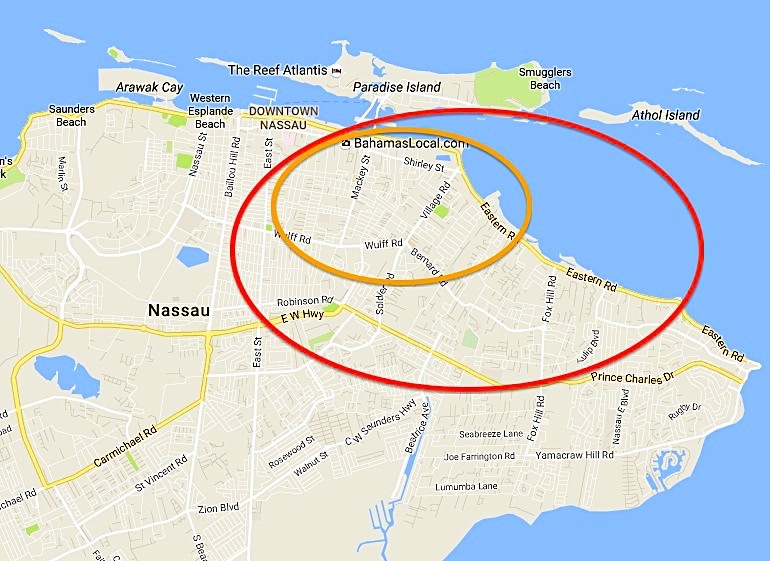 Simple turn into the north entrance, drive straight down to the end with the windows down, park up – and listen. 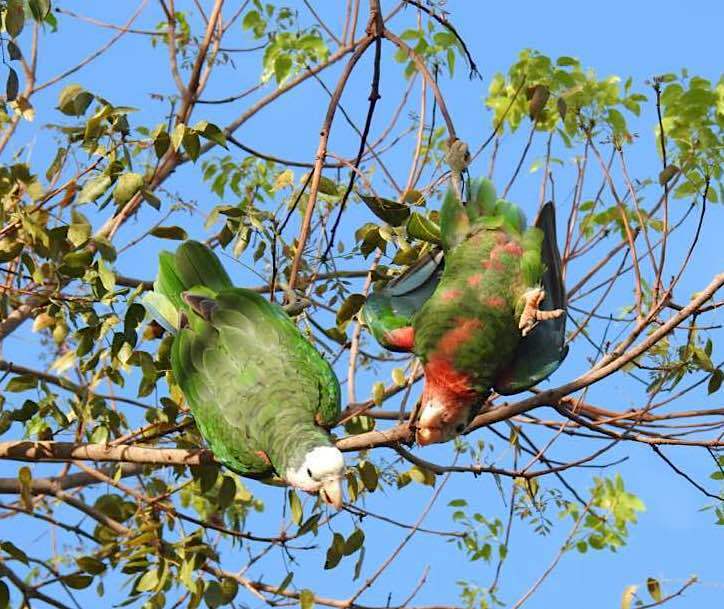 If they are there, you’ll hear them for sure! 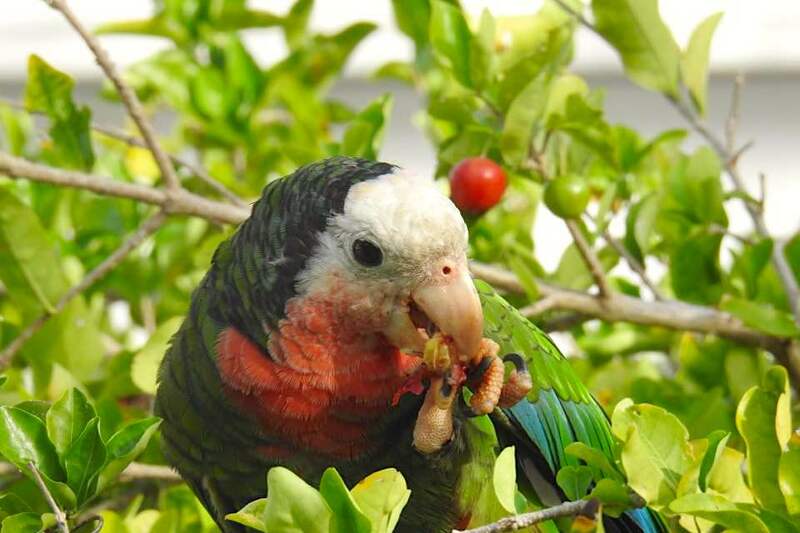 Mmmmm… gumbo limbo berries at Bahama Palm Shores. 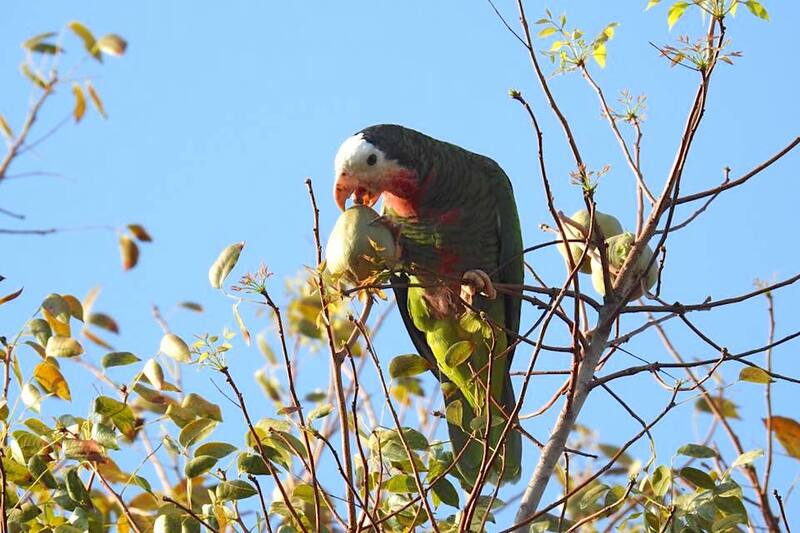 My favourite evening snack as we parrots head south to the National Park in the evening. 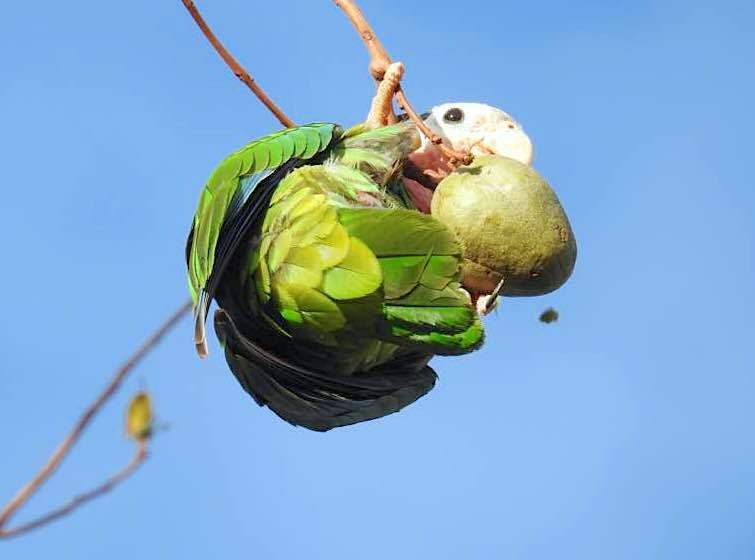 This is really bad news… this guy’s hungry, and he’s swooped in higher up the branch, so he’s got an advantage. 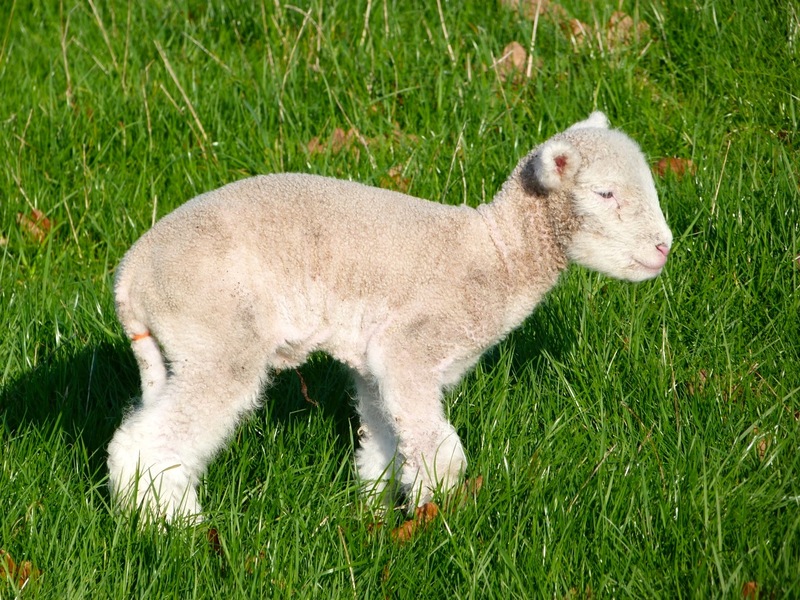 Right, I’m backing off here. 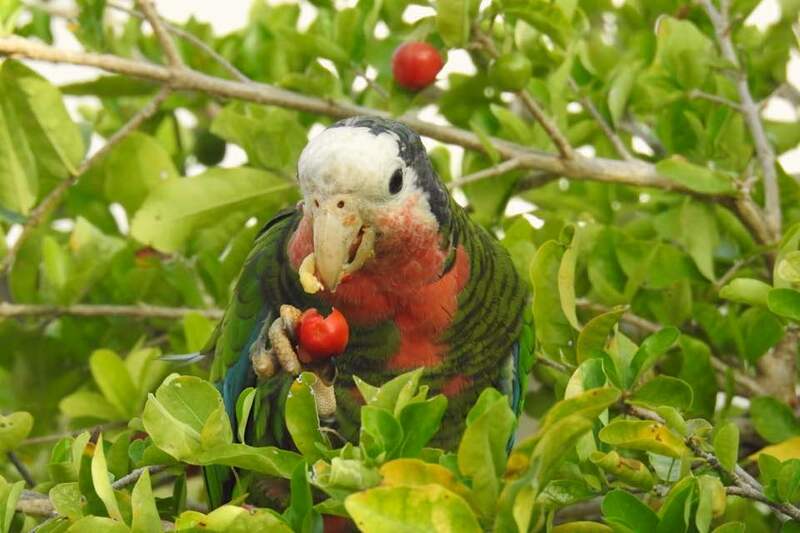 I never did much like gumbo limbo berries, now I come to think of it… And he looks mean as hell. 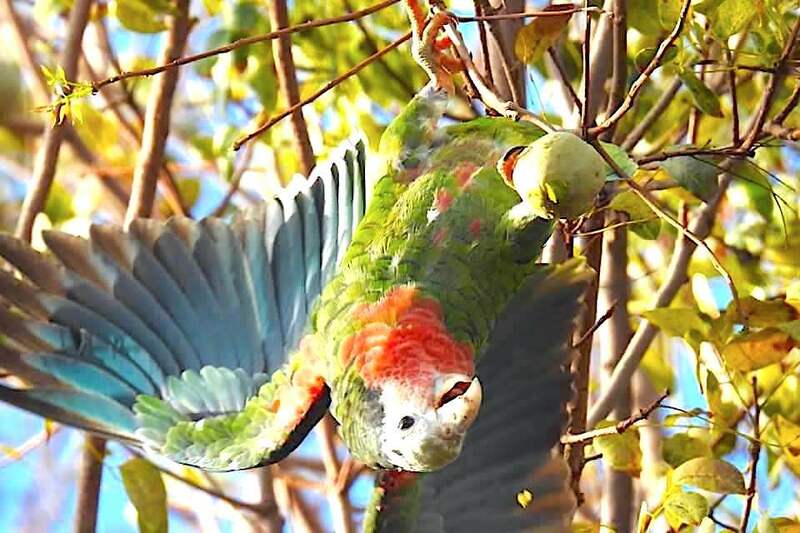 But wait – I’m not just going to back down. 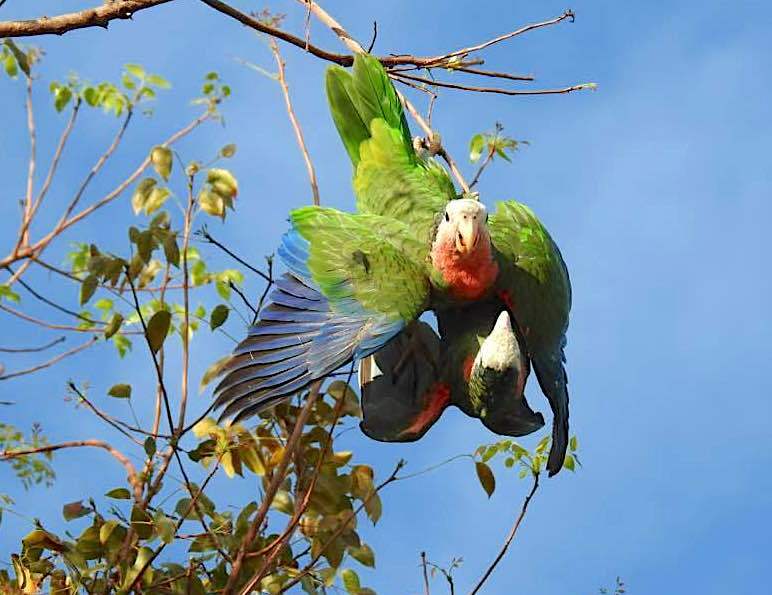 Let’s give him a little surprise to remember me by.